Some plays, not surprisingly, get a little old after a decade of repetition. Others, miraculously, get better. The key, as evidenced by David Yen’s 10th annual performance of David Sedaris’ Santaland Diaries, at Left Edge Theater, is changing things up from time to time. Adding a fully stocked bar to the set one year, and using it. Adding a playful elfin striptease. Giving the audience silly and inappropriate elf names (Funky Little-Skank, at your service). Encouraging people to stand up, shout out loud and dance in the aisles, all while keeping things mischievously acerbic and politically incorrect. 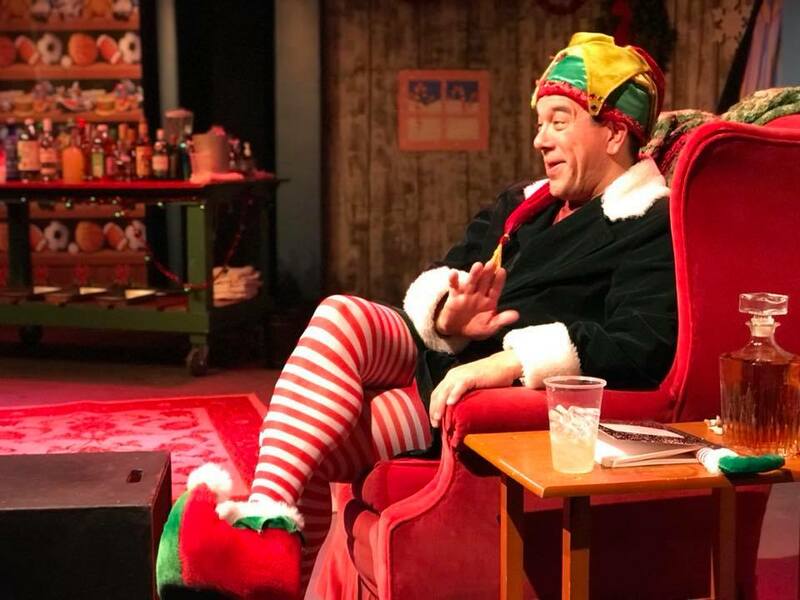 A certified North Bay Christmas tradition, The Santaland Diaries—adapted by Joe Mantello from Sedaris’ hilarious radio essay—has certainly evolved over the years, even as it’s traveled through seven different venues. Under the playful direction of Argo Thompson, Yen first performed the solo show in 2008, as a pop-up production in a Santa Rosa art gallery. Since then, Yen and Thompson have carried their audience with them, with productions all over the North Bay. And now, for one final run, the show comes to Left Edge Theater, at the Luther Burbank Center for the Arts. Yes, the final run. After 10 consecutive years of playing a disgruntled, unemployed actor forced to entertain unpleasant children as a holiday elf at NYC’s Macy’s Department Store, Yen has announced he will be hanging up his trademark striped tights and jingle-bell hat once and for all, but not before a last, profanity-laced, alcohol-fueled appearance as the world’s least enthusiastic denizen of the North Pole. I have, to date, seen Yen in five separate productions of The Santaland Diaries. This one, easily, is the best. The script itself still carries a number of notable flaws, including some basic plotlessness, distractingly dated details and a tendency toward mean-spirited, sick-and-twisted humor when sick-and-twisted alone would suffice. Amazingly though, Yen and Thompson have gradually improved the joyously crass script, packing it with additional gags, infusing a surprising amount of depth and even a touch of genuine sweetness. The best part, of course, is just watching Yen at work mixing drinks, dropping F-bombs and wry observations, lip-synching in German and having a blast. Makes sense, right? After a decade, this is a role Yen wears as comfortably and colorfully as those crazy, trademark tights. ‘The Santaland Diaries’ runs through Dec. 23 at Left Edge Theater. 50 Mark West Springs Road, Santa Rosa. Friday–Saturday, 8pm; Sunday, 5pm. $25–$40. 707.546.3600.